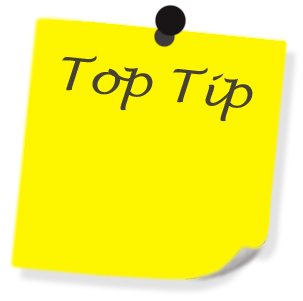 Before you apply, make sure that you avoid the most common mistake that university applicants make. Most students do a lot of research online to find what the best course for them is, speak to universities, invest a lot of time in refining their application. They forget though to do the most important step. They don’t take the time to talk to people who are currently in the professions they consider. Talk to as many people as possible about their jobs. If, for example, you consider becoming a teacher, you definitely need to speak to a teacher and understand how a typical day is, what skills are necessary, and how the profession may change in the future. If you want to become an engineer, speak to an engineer. Not only one but as many as possible. It is only by talking to people you will understand what the job really entails, what are the things that you need to check, what challenges you may face. If you don’t know people in the professions you are interested in, ask your social network to introduce you to people they may know. People are willing to share their learnings. Just be polite and respectful of their opinion (this doesn’t mean that you have to agree with them) and their time. Be on a mission. Talk to people you know about their jobs, ask them questions about the good, the bad and the ugly. Find out their opinions about the future of their profession. In this way, you will avoid the most common mistake university applicants make. This entry was posted in b4iapply to college, b4iapply to uni, Before I apply, Career Advice, Higher Education, What to study and tagged before you apply, common mistake, talk to people about their jobs, university applicants. Bookmark the permalink.